Hunza MR16 luminaires are available with Osram Infra-Red (IRC) lamps, which provide a 75% improvement in energy efficiency and heat output over standard halogen lamp technology. This has been achieved by the use of a special coating on the reflector. 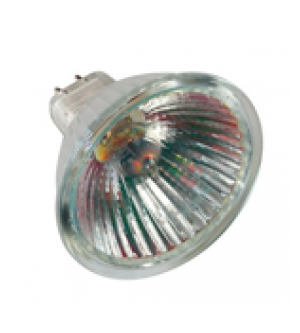 Available beam angles in the IRC lamps are as follows: 12, 24 or 36 degree.